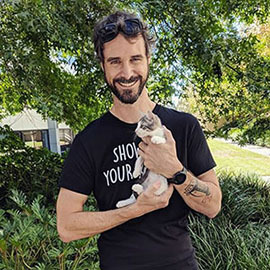 Found Hearts Limited is a new animal rescue organisation which also runs a sanctuary in Apple Tree Creek in Queensland with more to open in the future. 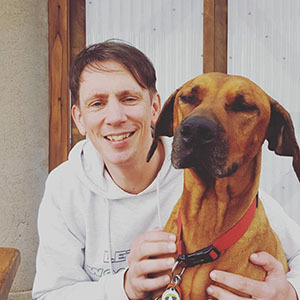 We run lost pet pages and are compiling a database of those who are able to provide emergency short term care for those who are struck by disaster, sudden homelessness, domestic violence or found animals. We aim to match pets with the lifestyle and household of the adopter. To start this process you will need to complete an adoption application from the Forms page on our website. 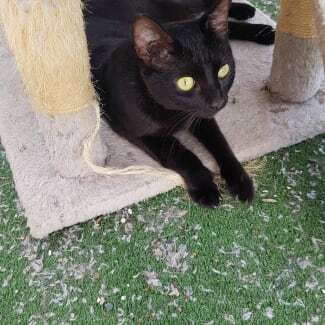 Sooty is a stunning all black boy with attitude. He demands attention, is always waiting at the door for you and loves nothing more then to be by your side. He delights in his cool mat when it is hot and can often be found putting his paws into the water bowl. He is an absolute snuggle pie and will light up your life. I have a nose on my nose. 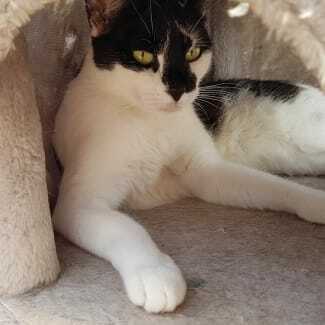 Nosey is a stunning black and white girl who is very affectionate and loving once she gets to know you. She loves watching birds, clever hide holes and adores a great scratching pole. If you are looking for a playful cat without all the hassles that come with training kittens; then this is the cat for you! 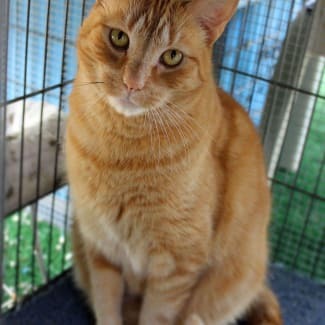 He is affectionate and loving and loves chasing bugs, wrestling feathers and running in his tunnel. He likes to gently 'love bite' but this behaviour is discouraged. Handsome Hamish would love a laid back home and a sunny window sill from which to watch the world. 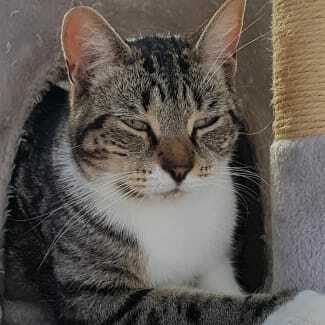 Tails is a beautiful tabby and white girl with an unusual short tail. Incredibly playful; she loves nothing more than chasing toys across the floor after dinner. Not the cuddly type; she will take some time to be comfortable in your company but is well worth it when she 'lets' you pat her. 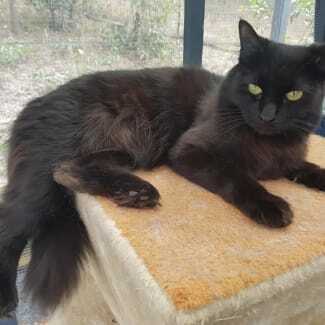 Ava is a stunning medium haired black girl who is a real diva. Loves cuddles one minute, next minute she jumps down and starts up on her beauty regime. She will always be waiting for you at the front door to greet you when you get home and will be the perfect little furry companion.